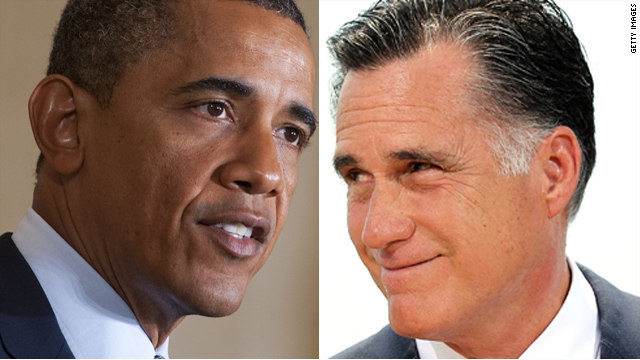 Whom do you trust more to turn around the economy: President Obama or Mitt Romney? Mitt Romney is coming under fire from some conservatives when it comes to the economy. Bill Kristol of the Weekly Standard says that Romney won't be able to win in November if voters don't think he has a clear plan to fix the economy. Radio host Laura Ingraham also took a swipe at Romney - wondering why he's taking vacation when "we have a country to save." "The Romney campaign thinks it can play it safe and coast to the White House by saying the economy stinks and it's Mr. Obama's fault." In fairness to Mr. Romney some of this griping is coming from conservative quarters that weren't thrilled with him in the first place. Romney has a plan for jobs and economic growth laid out on his website. And the likely Republican nominee has talked about how he would do things like lower tax rates, lift the barriers to the Keystone Pipeline, curb some regulatory policies that he says have driven up energy costs and repeal Obamacare. Meanwhile what about President Obama? With another grim jobs report for June, unemployment is stuck at over 8% and job growth is weak. If unemployment stays where it is - or goes higher - before November, it might be tough for the president to convince millions of unemployed Americans that he can feel their economic pain. Plus the national debt and annual deficits are out of control on his watch. A recent CNN/ORC poll shows Americans just about split down the middle when it comes to who would better handle the economy. Here’s my question to you: Whom do you trust more to turn around the economy: President Obama or Mitt Romney? It depend on which way the wind is blowing! Governor Romney seems to have exactly 2 plans. 1.Fund raise between extended Holidays. 2. Keep away from any cameras, hard questions or real interviews. It's obvious. Mitt Romney has the Republican Plan they have been using for the last 11 years. That is continue the George W. Bush plan and get rid of everything the Democrats have done for the Middle Class. iI don't think Mitt Romney has a clue! He will outsource our country! That is all he knows what to do. To paraphrase the fabulous late Ann Richards..."Poor Mitt! He was born with a silver foot in his mouth!" No. He claims he has a plan, but apparently he's unwilling to share it before the election. So far, all I can gather is he wants to put more tax cuts on the Chinese credit card for the wealthy "job creators" . . . even though they haven't created any jobs over the past decade of Bush/Obama tax cuts. Jack, the funny answer would be "depending on the week." The truth is that he has no plan at all, other than keep up the same Republican economic policies that have been eroding our economy for the past 30 years. Romney is choosing many of Bush's (43) advisors, so sure he wants to turn the economy around to 2008 when Bush's reign ended. If we had had any longer with those same plans, there would be nothing left. President Obama's vision includes all of us, not just the 1%. By the way, we tried "trickle down" economy and lower taxes, it DID NOT increase hiring how can anyone vote for a President OR Congress that supports going back to the policies that nearly ruined our country? Of course he does not. Why should he turn around an economy that is doing so wonderfully well for his one percent. The rest can always strive for their own off shore bank account. Of course he does. Unfortunately, it is the same policies that George W Bush used to get us into this mess. He may having talking points but not a plan that will be good for most Americans! He left for missionary work in France rather than serving in the Vietnam war, he sucked every ounce of value out of companies and then laid off American workers to ship jobs overseas, and after making millions in profits at the expense of the workers, he hides his profits in foreign banks to avoid paying taxes in the USA. He may not be doing anything illegal, but is not a patriot and he cares far more about the almighty dollar than for America. Neither he nor his children, who are set to inherit multi-million dollar trust funds and can have whatever education they want, know our pain. The Romney campaign and the GOP raised over 100 million dollars in June alone, if he has a plan (and I doubt that he does) why would he think the economy needs turning around? The circle he lives in is totally clueless as to he pain and suffering of the other 99%....so....if they can spare that kind of money, they view "their" economy as "just fine" and any change will make things worse for the super wealthy, after all, if it ain't broke, don't fix it. Mitt and his Republicans have no plans or solutions for ANYTHING!!! Their only concern and goal is to make Obama a one term President ... Wake up America that is their only plan!!! Nothing comes out of the Republican's mouths but lies and propaganda. Romney will put more money in the pockets of the 1% and less in the pockets of the rest of us. That does't sound like a change to me. Rolling back health care to 2008, or 1960, would be a change, but in the wrong direction. Eliminating voting rights is another change, again in the wrong direction. Putting abortion back into back alleys would be a change, at least in some parts of the country. Not in the right direction, unless you are in favor of more women and girls dying. Taking food and medicaid away from hungry sick poor people would be a change, also bad. Unless the goal is to see more Americans starve or die. Which it may be, judging from the T Party rhetoric ("let him die") . The only thing I don't see is how Romney will actually put Americans to work at jobs that can support families. Nope. All Romney has is more political empty promises of grandeur if only you would support him. It is the same spiel with Obama though. More empty promises for the privilege of your vote you can stand in line to be disappointed like the last voters that supported him. All we got was a few trillion more in debt and a congress that is so dysfunctional they can only agree to disagree. No I do not think Romney has a plan to turn the economy around. Romney's business experience was to make money for his wealthy investors. That is great if you are one of his investors. But not is not so great if Romney becomes president and you are an average working citizen who is now retired that depends on Social Security and Medicare. Romney's plan is the same kind of plan the Republicans had for many years and that is the trickle-down theory which I now believe is an excuse to help and protect the wealthy from paying their fair share. Especially people like Romney himself who has offshore accounts so he doesn't have to pay taxes. Sure he does, but he keeps it on his Etch-aStech, Jack. Actually he seems to embrace the policies that the George W Bush enacted – Tax breaks for the wealthy – you know, the trickle up theory that has redistributed most of the wealth to a very few people. The sad part of it is the Republicans call it rewarding the "job creators" – what a joke – but the uninformed voter buys this crap. I'm sure he does have a great plan to turn the economy around, and anything he does is surely better than what President Obama has done over the past four years. No. But he has a plan that would destroy it, and the middle class along with it. He is so beholding to the Koch brothers there is no way a fair and reasonable economic policy will be possible. This country prospered for decades thanks to a strong middle class. Bush and the Republicans in congress all but killed it . Romney would drive the last nail in the coffin, with the enthusiastic assistance of the Tea Party. If Romney is elected the middle class will disappear. I just can't see a man who sent so many jobs overseas talking bout he is the man to fix our economy!! No! If I had 15 trillion dollars and offered it to Congress if they'd do to things; they would turn it down; term limits, no more than 4 in the house and 2 in the Senate and not support Romney. Romeny does have the answer for the rich; off shore bank accounts and no taxes if you make more than $250,000 per year, everybody else to bad so sad. In typical Republican fashion, neither Mitt, nor any of his fellow Koch stooges, has a plan to improve anything but their own personal bottom line. The fact that there are so many gullible Americans that believe him, is truly disturbing. It wouldn't matter if he did have a plan. One thing today, opposite tomorrow. The reason he needed to invent Romney care was for treatment of chronic whiplash. If he does he's keeping it secret. But some things kept secret turn out to be wildly successful. Take the atomic bomb that ended world war two as just one example. In a word NO. He seems to think the way to get us out of trouble is to return to the standard Republican policies that constantly get us into economic trouble; then the Democrats try their standard economic policies to get us out of the Republican mess. From my observations over the last sixty years, neither policy works well for long if at all. Time for something other than repackaged disaster cause I'm no longer buying what the Democrats and Republicans are selling. Nope. What little Mitt has said involves three things: 1. Cut taxes on the wealthy and corporations 2. Get rid of regulations on corporations so they can do whatever they want without regard to anyone else in America. 3. Support the Paul Ryan budget, which replaces Medicare for senior citizens with a coupon and takes a meat-axe to all programs for the poor and middle class so they can cut taxes even more for the wealthy. I think that pretty much sums up everything Mitt has announced about his "plan" to "turn around the economy." No, otherwise he'd talk about it rather than skirting the issue. Same as the republicans are doing with their ideas on health care. They give us nothing but "NO". Oh~and don't tax the wealthy. The only plan that Mitt Romney has is to make himself and his friends rich. He hasn't proposed one single idea for fixing anything in this campaign so far. The only good thing the man has done was his health care plan, which he is now trying to demonize as Obama's. Show me one plan Mitt has for anything. You can't unless its whats for lunch. Yes, instead of going face first down the drain of tax cuts for the rich and corporations like democrats, Romney and the republicans like turning the car around and reversing down the same drain so as not to upset the dupes in the middle class who still think this is a two party system. Obama's already calling for middle class tax cuts to be extended, knowing that they are purposely coupled to the tax cuts for the rich by congress. So they'll put on the "compromise" show and pass these heavily slanted tax cuts by the end of the year and act as if the "deal" was done for the middle class. I've seen this rerun before. If Romney has a plan for the economy, it has escaped my ability to detect it. I think he is in the camp of those who would eliminate Middle Class Tax Deductions, like the Mortgage Interest Deduction. He has stated an interest in giving the Military even more money than they are getting now. Mitt wants people to think that because he is a genius at seperating people from their money, and having it end up in his bank account, that all the sudden everyone will get jobs if he is elected President. But he doesn't say where these jobs will come from, or why they will magically appear once he is elected. And he may get elected, by saying nothing for as long as possible, because of the economy, and the crushing tax burden Obama has levied upon the middle and lower classes, via Obama Care, and other big Government Spending Programs. Romney has been able to overcome his Hee Haw Campaign Staff, because of the trouble Obama is facing, and because the Republican Party Establishment is secretly rooting for Obama to win a second term. I am hoping Romney will select Eric Fernstorm to be his running mate. Wouldn't that be a treat to see Eric and Joe Biden debate. It would be like, say what? Doug, Pepperell, MA. How many jobs were created by the Bush Administration by cutting taxes for the rich? Romney knows how to make money through small companies. Either outsourcing American jobs, or selling companies he has acquired. Even Reagan, the Republicans hero, raised taxes in order to increase revenue, in order to create more jobs. Don't think any of his experience will actually help the American economy. Neither. Neither believes in a true free market and neither will protect property rights and the rule of law, two keys in any thriving economy. Both believe in state intervention and control, and therefore the economy will suffer. Ron Paul has the answer, but too many Americans have been spoon-fed the nonsense that government is the answer to everything, when in truth it has created the morass in which we live. We've all been duped into thinking a President must come up with some sort of magical plan to lift America out of this economical doom and gloom we're under. President Romney simply has to be himself..................a conservative believer in free enterprise, low taxes, and far less regulations which are ruining business' everywhere. He knows that Government IS the problem, NOT the solution. He knows to reduce the size of government and stay out of the way of the greatest business enterprise ever created.................American ingenuity. Yeah, I guess he does have a plan afterall. Of course he does, Jack. It's the Republican economic cure-all. Just lower taxes and all our problems are solved. The poor guy has to pay a whopping 14%. Hey, wait a minute, I pay a higher rate than that and I make a lot less. No! He has talking points based on what he has heard others talk about. Repeal a health plan based on his own, build the keystone pipeline,make tax breaks pemenent and bomb Iran and a whole bunch of things he does not nor will not have the power to do. He is like a punch drunk boxer. Every time he sees a shadow he flinches and dances around looking for whoever is there. I, just cannot believe that this is happening . I trust the President on this one. He at least has been trying to get something done with no help from Congress. Romney on the other hand has no plan neither does the GOP. They think Americans are stupid, and they think we will vote for them this November.....Keep dreaming Willard and keep dreaming GOP! To be honest neither one. I think Romney will mess it up more than it is now and Obama will just keep it about the same it is now. My question is where are the independent candidates it would of been their year for one strong one. Neither Candidate has the power to change the economy Jack. If they could, the unemployment percentage would of dropped from 9% to 1% by January 21,2009. Only business can fix the economy. The Trickle Down Theory works every time but We The People and our elected officials all want the results yesterday. We will come out of this recession at some point. Neither can. It's a global runaway train. I trust Obama as a person more, though. Why would anyone trust a President like Obama to turn around the economy when all he believes in is more and more GOVERNMENT, more taxes to drive even more wealth and business' off shore. He hates wealth and corporations, the two exact things that create jobs. Duh. Truthfully a President should just stay out of the way and let the free enterprise system work. And work it will with President Romney in office who honestly believes in free enterprise, low taxes, MINIMUM regulations, regulations which are strangling our corporations today. This is a "No Brainer" Jack. President Romney without a doubt. I trust him like a rat in a cheese factory, he won't even release his tax returns, what is he hiding in all those off shore bank accounts ? He is one of those job creators that got Bush tax cuts,where is the jobs he created with that tax break , I guess at all of his mansion and those banks overseas. Romney No! President Obama Yes! Don't think any of Romnwy'a experience will actually help the American economy. Certainly not a guy with a Swiss Bank Account!! Willard is a the guy that brings his appetite to the tailgate party, and no food!! He doesn't want to pay his fair share of taxes, but he wants to enjoy all the privileges that comes along with EVERYONE kicking in their fair share of money to keep this country running at top notch speed. What Obama needs is a dedicated congress that wants all of America to succeed, not just their big money donors. Boehner, "Where are the jobs"???? No doubt about it -– President Obama all the way. Mitt's offshore accounts don't earn my trust because, hey, is he trusting the country with his bucks? Obama has pandered to hispanics and failed to remove the 12 million illegals, and he has not even tried to stop chinas unfair trade practices which are two of the major causes of the high unemployment. I trust romney will implement e-verify which would ensure employers hire legal workers, and I trust he would impose a 25% tariff on chinese imports which would equal the playing field and enable american companies to manufacture goods in the u.s. Obama can no longer be trusted to help the people on main street. Not enforcing the immigration laws, extending unemployment benefits, free health care for 26 yr. olds, and cutting payroll taxes has not provided 1 job. President Obama invested $billions of tax payer dollars into companies such as Solyndra, who did not even have any customers. They are now bankrupt. Go figure! The Obama administration passed a law banning U.S. made 100 watt bulbs. These were replaced by Chinese made bulbs with poisonous mercury. Nobel Peace Prizes are now selling 3 for a dollar. Do you want me to continue?? No matter who the President is, he can't do much WITHOUT Congress and we have a do nothing Congress. But I trust The President WAY more than some Rich guy pandering to the Super Rich believing he Deserves to be President. He hasn't a clue how we live. I think that any plan Romney may have regarding the economy will be to first and foremost protect his assets and the assets of his peers Sheldon Adelson, Koch Brothers, Corporations seeking tax cuts, etc. etc. Face it, he doesn't have a clue nor does he care about Joe and Jane lunch bucket. He thinks that the same failed trickle down policies of the Reagan administration which helped make him uber rich will turn this economy around. When I boil down Romneys' quest for the Presidency all I can surmise is that he wants it because it will look good on his resume and thats all he cares about. He'd rather hob nob around the globe aboard Air Force One playing big shot than have elevator races in his garage. Who wouldn't? With the same Congress in place, trust me on this. Romney, if elected, and Congress will pass Obama's Jobs bill, you know the one the Republican's killed last summer. He and his war mongers will stir up some trouble someplace for the military contractors, creating more jobs. Well Jack, since the economy has been getting better (I'll admit slowly and not fast enough), wouldn't turning around the economy be going in the wrong direction? If that's what you meant by your question, then Romney's your man. OBAMA if we can vote in more Dems and get our majority back. Mitt may having talking points but not a plan that will be good for most Americans! He left for missionary work in France rather than serving in the Vietnam war, he sucked every ounce of value out of companies and then laid off American workers to ship jobs overseas, and after making millions in profits at the expense of the workers, he hides his profits in foreign banks to avoid paying taxes in the USA. He may not be doing anything illegal, but is not a patriot and he cares far more about the almighty dollar than for America. Neither he nor his children, who are set to inherit multi-million dollar trust funds and can have whatever education they want, know our pain. Well, Jack, Willard (Mitt) Romney advocates the same policies that got us into this mess–only bigger–and President Obama's policies have actually added jobs to this economy–despite Republican obstructionism–so I trust President Obama infinitely more than Willard. I don't know if Mitt can, but I know that obama CAN'T. We've seen that for the last 3 1/2 years. You’ve got to be joking, Right? Let’s see, a Community Organizer with no management or business experience who has no clue about running an economy in a global market. Someone who’s had almost 4 years OJT and still can’t get it right. He’s taken a bad economy and made it worse. He thinks the way to get business to start growing and expanding is to demonize their success and threaten future earning with more taxes and regulations, all in the name of farness. The fact is this President doesn’t want you to have a good paying job. He needs you to be unemployed or under employed so people depend on the government for assistance and that increases his power over you. On the other hand you have someone who has a proven record of successful business management. Who seems to have made all the right discussions. Sounds like a no brainer to me but how’s all that hope and change working out for you? Welcome back, Jack. The answer to your question is an easy one. I trust President Obama much more to turn around our economy. That is if you think of our economy as one of equity, where anyone who wants to make a good living through hard work and applying one's self. How could anyone trust Romney to fix the economy when he rarely answers questions, but the few times he has, he usually reverses himself. Mitt accuses Obama of "crony capitalism", but it seems as if Romney is owned by some of the most wealthy organizations on the planet. His soul is bought and paid for and that should give most Americans pause before they cast a vote for him. Mitt of course.... Obama had almost 4 years and he still doesn't get it. 40 years of working and for the first time in my live no job because of the economy. Do I blame Obama, darn right I do! Jack, I don't think it matters. As President Obama mentioned not too long ago, there are some things that are beyond his control such as the global economy itself. The only thing any president can do is to ensure that the federal government has provided the necessary financial policies that banks, lenders, entrepreneurs, contractors and others will find amenable to promote commerce. The one thing that Americans should be worried about, however, is Mitt Romney's consideration of possibly invading Iran if elected president. Now, that's a plan that would bode well for the American economy! Yes, Obama has his faults, but sadly many think that Republicans can defy economic logic to make things happen with plans from a Bush administration playbook. Too bad Bill Clinton is prohibited from running for President again, even as an independent. He's the only person I can think of that could turn the economy around. Willard Romney couldn't inspire trust if his life depended on it. The man is a political huckster, and it is written all over his face. I'm not confident in either of their ability to turning around the economy. It just looks like a choice between who the economy will pay off. Healthcare, automotive, and movie studios benefit from an Obama win and defense contractors and oil companies benefit from a Romney win. The banks win either way because they're the house. I would not trust Mitt Romney to hold $5 for me while I looked for change in my wallet. He cares nothing about the middle class or poor citizens. His only interest in the economy is how much is in it for him and his cronies. Neither, it will be the common American's resolve and hard work that will get us out of this mess but only once we stop fighting amongst ourselves. If Romney gets elected and the Republicans keep the House, the De-Regulation of Wall Street and Banks will be the sign of the End! They will so water down Environmental Regulations and Protections that our water will be ruined and the people will be subjected to work conditions worse than Asbestos and with no Health Care after it is repealed, well, What do you think , Jack? None of the above....Thanks for asking Jack!! Neither. They will both end up doing the same in my opinion. Obama. Romney is essentially Bush 45, and we do not want to go down that road again. I think the economy is likely to improve with either as president, it is how the cycle works. Considering how it will recover and who it will recover for the most I strongly prefer President Obama, who I think will bring the recovery to all classes, while Romney will improve it for the wealthiest Americans and if the rest of us get a chance then good, but not really his concern. Plus Romney is pushing the same agenda as George W. Bush, this type of agenda may lead to stronger, quicker gains, but also a much more volatile economy, like the one that caused the crash in the first place. Romney is pushing an economy that the wealthy can weather in the bad times, but the rest of us lose our shirts and our homes. Is this a trick question??? I think that Obama and Carter are neck to neck now for who will go down in history as the worst president. Right now, I think that Obama may have taken the lead. After 3.5 years of "hope and change" we are a polarized nation, in debt and with record unemployment.... I will vote for anyone but Obama in November..
Jack, here's a better way to pose your question: Who do you trust more to turn the economy around - a well founded businessman or a unfounded community organizer. It's like comparing a horse with a rabbit. And, interestingly enough, I'm an independent. It's Romney, hands down. I unequivocally trust President Obama to turn the economy around! We would be further along on the road to recovery had it not been for the obstructionism of the GOP! I would not trust the Mitt to baby-sit my dog. I certainly don't trust him to turn the economy around. He would send this nation into bankruptcy! President Obama of course. I do not trust Romney. If he has a plan he has not put it forward and as such it is all talk. The President is working on the turn around and I have always felt this is a long term thing not a Romney doing it on his first day. That is wishful thinking and impossible. Neither can. The senators and representatives that might be able to help refuse to face reality. They only want to be elected again, without making any decisions. It is a real problem. I would score President Obama' economic polices as an [A-] for his first year in office, and a [D-] ever since. Judging from what I have heard about Romney' economic plans I would score him a [F.] The only hope that either candidate currently has is that "Trickle Down Economics" salvages their economic plans. romney. obama has tryed and failed for 44 months. Hobson’s choice. We know where Romney’s heart (or least what passes for one) lies; outsourcing, off shoring, no taxes on the wealthy, shutting down SS, Medicare and other entitlements, and firing people. Unfortunately, we also know, from experience, what Obama will do; cut SS (as he has done), bail out financial institutions and big corporations with no strings attached, raise taxes on the middle class (regardless of the terminology he uses) hold no scoundrel accountable for dastardly deeds, accomplish nothing he promises etc, ad infinitum, ad nausea. And you can forget about the “hope” thing too. The President gives a great speech and has marvelous utopian visions and he can fire up a crowd. Mr. Romney knows finance and business but he doesn't have the common touch. For me Hillary is the best choice to turn this around. She was the best candidate in 2008; she is the best candidate now; and she will have the economy humming a year after she is elected. Hillary is the one! Well, Romney has business savvy, success stories galore, an organizaed mond, and unlike Obama, and no track record of failure. I think Obama has had three and a half years to work on the economy and has not fared well. He seems to have no new ideas, no plan, no inspiration, no theme. Therefore, I have no reason to want to risk four more years of that. I trust my instrict that that it's time to trust someone else. My choice is President Obama. The economy is not what it should be, but Obama has saved us from calamity started by his predecessor. On the other hand, Mr. Romney has flip flopped so much, it is credible that he himself doesn't know where he stands. A man that succumbed to pressure from the extreme right in the recent Roberts' ruling is hardly the man who can lead us anywhere but to more destitution. There is no question that Obama has no experience running the economy, never been there, never done that. His whole answer is more government. Since when does the government add any value? Mitt has turned around numerous companies that were sick. When you are sick, go to the doctor. The medicine may be strong but it works. The economy is sick and needs doctor Romney to turn it around. Mitt Romney gets my vote. President Obama clearly has no idea how to get the private sector, the real engine of our economy, moving again. I work with dozens of small business owners and the one comment I hear over and over regarding the current economic climate is they don't know what govt. regulation they will have to deal with next. The only thing clear to them is the anti business stance of this administration. President Obama is the one I trust. He has done a very good job so far and will keep on building it up. I am afraid of Romney, since he can't handle his own money in this country, that he might ship the treasury to the Cayman's, Switzerland, etc. Romany is too secretive, just like his church is. i cannot see him rubbing elbows with Black, Brown, or yellow people. Not Presidential material. Jack: This is an easy one, President Barrack Obama, has already shown great skills in returning the Stock Market from 6500 point low to over 12,000 points today. We are recovering every month with plus number in jobs, and the economy is getting better for the consumer. Gas prices have dropped due to the lack of demand, which is part of the president's energy policy. Mitt Romney had a terrible jobs record in Massachusetts, and I have two friends who lost their jobs because Bain Capital. My two friends are great teachers now, but both lost their jobs in business and sales to Bain. It took money to retrain and it cost one of them their marriage. Like I said, it is easy, I choose President Obama. Prs. Obama entered the presidency when we were headed for a cliff. His policies stopped a major depression and, even with a Republican House that did everything possible to make him fail, he still managed to start the country moving forward. His decisions killed Osama. He saved the auto industries and kept thousands in their jobs and now we are again a car manufacturer. He passed the Affordable Care Act giving medical coverage to thousands who could not get coverage. He paid off his student loans about ten years ago. He has no off-shore bank accounts and does not hide his money in Switzerland. He is one of us, a middle-class American. I like him and I trust him. He is my choice for 2012. How long is it supposed to take to dig ourselves out of this Bush-era mess? Romney would summon the ghost of Ronald Reagan and use the old tried and true trickle-down economics parlor trick to rob the middle class of what's left of their wealth and transfer it to bank accounts of the already-too-rich, all in the name of job creation. On the other hand, Obama will continue to champion health care and tax reforms with investment in science and technology in order to set the country on the right course toward economic prosperity. It will take a few years, and wouldn't even start to pay off until the end of his eight years, but it's the correct course to take. The only alternative is wreckless wealth distribution and job creation which will lead us into yet another speculative bubble. No question about it....Obama is more trust-worthy. When you say trust....how can people trust Mitt when he won't show his tax records nor own up to Romneycare from his time in MA? Jack, the last time I checked there were only two reasons for " Swiss Bank Accounts". One as a hedge against the US dollar and the other to avoid taxes. I don't think that you would need " Magic Pants" to figure this one out! Between Mr. I Will Blow Whichever Way the Wind Blows, vs. President Obama, take a guess. I can only trust the one who finds that doing what is right mindless of ideology or dogma. And regardless of blame, which is merely shifting one's own blame, Obama is not the sole procurer of jobs and economy, how many jobs have the House Republicans created? Until we have a group of people who can put aside the damnation of absolute ideology and merely choose the best methods then we will always be, in some manner, never capable of being the best we can be. Republicans will say and do anything in order to get back into our financial kitchen like a bunch of racoons. Why any average middle class person would support them is beyond me. Am I crazy or do we live in an interconnected eonomy...Neither one will get us out...And yes, wasn't the deficit spending of WWII that got us out of the depression? I have no doubt that Romney knows how to turn the economy around for the very wealthy like himself. But the very wealthy haven't felt the economic pain like the rest of us, so I don't see that as the national priority. Obama is a first President in a generation to recognize the importance of the demand side of economics. The supply side has been stroked and coddled for years. I trust Obama to put the middle class back on track, and if the millionaires are the clever folks that Romney tells us they are, millionaires will do just fine. meant to say "interconnected world economy"
I support the President. We can not go back to the same policies that got us into this mess in the first place. The GOP had 8 years and their policies just about bankrupted not only our Country but, the entire World. Mitt has a plan. His plan is to cater to the rich to get elected to the office he has coveted for years. The plan will protect all his rich friends and donors, not to mention his own wealth. As we have been learning of all his off shore money, Swiss bank accounts, cayman Islands, and more. He only pays 15% of his wealth in taxes, and doesn't want to pay a dime more. Considering all the wealth he has from this Country, it's surprising he doesn't want to help pay for anything. Release your tax returns Mitt. Tax the wealthy! Who else is running for President–how about more choices !!! Mitt Romney seems to support (as best as I can tell) the same "supply side" economic theories that the Republicans have been touting since the 80's. It's not very difficult to link that theory, or at least the way it has been implemented, to the decline of the middle class. Because a strong middle class is the key to our overall prosperity, I don't think the Republicans can help the long term economy. The President has tested Keynesian theory on a much larger scale than it has ever been tested before, and it didn't work, so I don't know if he can help either. That being said, I think that Mr. Obama will do less damage than Mr. Romney, and unfortunately that's the best we can hope for this election cycle. Neither President Bush or Governor Romney have a plan that will turn the economy around. Both have not looked at the major problem. Over the years too much of the tax base has been lost because American workers lost their jobs to outsourcing. Now they are unemployed or underemployed. No new car purchases, no vacations, and no luxuries of any kind for these families. They may buy a kiddie plastic swimming pool to replace the broken air conditioner they can't fix or replace so that they can stay cool. Hey, this isn't an exageration, this is reality. That's like asking your doctor if you can trust him, AFTER you've already had your colonoscopy done by him. He can help other nations by outsourcing america labor. The Chinese are making heavy campaign contributions to help him get elected. Well Jack, since the economy has been getting better (I'll admit slower than it should be), then wouldn't turning around the economy be a bad thing? If that's what you meant by your question, then Romney's your man for that. Obama. At least I know where he stands and have watched him at least try to right the ship. For four years all I have heard from Romney is complaining about Obama. Romney makes me think of Heath Ledger as the Joker. He just wants the White House. He's like a dog chasing a car. He doesn't know what he'll do with the thing if he actually catches it. Obama has his supporters and he'll continue to garner their support by playing the class warfare game and leading them to believe they're victoms of the rich getting richer at their expense. He'll convince them that it's everyone elses fault the economy has not gotten better and those evil Republicans have blocked him at every pass. No amount of data or evidence will convence them to sway their vote. If only we had elected Mccain or Clinton we probably wouldn't be in the mess we're in now. But no, we had to elect Mr Charisma, Mr Hope and Change. Well now you can hope that you can at least keep your change. If romney is elected – may God help us all – this country will be made up of mostly rich or poor people, period. GONE will be the days that you can work at a Job, make enough money to have a 3 bedroom 2 bath house, own 2 used cars in your carport, have 2 or 3 kids, feed them, send them to school / pay for their college. I suspect that the Romney regime will want us to be like the 3rd world countries are. Live in cheap houses, or in trailers / receive enough pay just to pay your rent / utilities / & etc. No matter what you do, or how much you work, you will never "better" yourself. Because of the "Trickle Down" theory. As long as we keep re-electing a dysfunctional congress – neither. Presiident Romney will have record low unemployment on day one. Just ask him. He can sign an excutive order. This truly is a no brainer Jack. President Obama of course. We are in tumultuous times – we are on a steady course of recovery and reverting back to the failed policies of Bush which Romney and his cohorts are embracing makes absolutely no sense. The Republicans have proven to all of us they are in it for the rich and the rest of us be damned. President Obama must be re-elected with the retention of a Democratic senate and major inroads made in the House. jack it would be Obama, if Romney was in charge he would feed the other fat cats. It would be just like putting bankers in charge of monitoring the banks. We already did that!! Didn't work to good as I remember!!!!!! It would be like putting the foxes in charge of the hen house!!!! Jack how do we get anything done with a do nothing congress!!! I believe it does not matter who is in charge. put Micky Mouse in charge if they do not work together nothing will get done!!! Yes, Mitt Romney does. The plan has about 56 strategies to get the economy moving in the right direction with strong conservative principals. The plan will work and has been proven in the past to lower the unemployment rate and get America in good standings within our boarders and abroad. Has Mitt ever been in a Grocery store? He doesn’t know a thing about the real world. I trust Obama to turn the U.S. economy around and not the economy in some foreign country like Mitt Romney. Obama has already wrecked the economy so we do not want more of the same. At least Romney has had some experience in the business world so let us give him that job to help our country get back on track. Anything or anybody can do a better job than Obama!!!!!!! Mitt wants us to elect him President before he'll tell us what his great plan is. Don't trust either one, but Mitt is the lesser of two evils. (I recognize that some will continue to back Obama in this area, but the given that Obama has never really worked a job for a profit seeking enterprise, it's like asking an atheist for the the best way to make peace with God). Jack you must be going senile if you think either of these guys could fix the economy. They will both over tax and over spend. The only guy who had a real plan was Ron Paul but sadly he didn't win so once again the American people are stuck with choosing between dumb and dumber. Niether!!!! In order to create jobs there must be a product or service involved. If these don't exist, neither can any politician. Jack, With all the money that is being donated to BOTH these men for president. The best thing they could do and people would be proud to have a president like this would be to use that money to help there people that are needing it real bad instead of using it for themselves !!! That's enough to make people proud of them and to stop using money to help other countries when this country needs the help here. They need to help there on country first !!! I trust Obama. In 2008 I voted for him as President, not as magician. We were in a deep hole thanks to lower taxes and two unpaid for wars, the economy is turning for the better, slow as hell, but it is turning, we are not longer hemorriging as we were in 2008. Romney was the head of Bain, not General Electric or Microsoft, if he was such a good businessman, why wasn't he CEO of a global business mover and shaker. Romney is just another spoiled son of a politican, kinda like W. Bush. Same old same old Jack, no thanks. With limited options, I challenge either candidate to have a novel effect on the economy. The President has done what he can and Mitt Romney will do the same. Whatever these things are, they will be like fraternal twins they will be so alike. I do think that Obama has done a decent job setting a scaffolding for a future economy, but again, he had no choice. Whoever is next will benefit from the decent work of this administration. The only people Romney will improve the economy for is the people in his class, very rich, and he will do it at the expense of ALL the rest of us. Mitt Romney is more trustworthy on every issue. Obama's experience before becoming president was almost none. Gov. Mitt Romney does have a plan and it's much better than anything that President Obama has done. I'm all for Mitt and I hope that he really can bring back Capitalism and make our country truly great! If Romney can add specific details to how he will reduce the deficit and create jobs, then Romney is my choice to fix the economy. Obama would be far superior to Romney in continuing to keep us moving forward on the economy. Romney just wants to go back to Bush and the Republicons policies (and in fact double down on them) which got us into this mess in the first place. I don't think the people have forgotten that Bush and the Republicons were left a huge record surplus by Clinton, 23 million new jobs created, $1.30 gal gas, a very solvent social security trust fund, etc. etc., and Bush and the Republicons squandered all this and left Obama a total destruction of our economy. I wouldn't put an ounce of faith in, much less vote for, a man who says with a straight face, "I stand by what I said, whatever it was" and at the same time maintains offshore and foreign bank accounts. Seriously Jack – can't you come up with two better names – then at least I, we, the USA have a shot at a better economy. Boy I long for President Andrew Sheppard...at least he had a vision. Quite frankly, I don't trust either of them to turn the economy around. They are almost the same person. I personally believe that Dr. Ron Paul is the best candidate for turning around the economy. I realize that this probably won't get on the air, but I figured I would voice my opinion anyways. I do not trust romney the flip flop king. How can you have faith in a man that has no spine or conviction in what he says? He will say what ever it takes to get elected, and he will never stand by what he says either. Its almost as though he feels that we the American people are either mentaly handicaped or have a severe case of Alzhimers and forget easily. I will take the lesser of two evils and cast my vote for Obama again! Romney. He's a got a plan, one that he's executed many times before. He'll break apart the United States into component parts , take all the Blue state assets and sell the real estate to China, using the proceeds of the deal to pay off the new countries debt He'll Bain the country. Obama the "Man with a Plan", who understands the middle class, and the one that speaks the truth! Romney is a proven business leader and successful governor. His resume is certainly a lot stronger than Obama's when he ran for president. This country deserves a strong business leader to lead us out of economic Armageddon. If we follow what Romney did in MA when he was Gov, we'd all be on food stamps, but if you are one of the 1%, why Romney of course he's a millionaire creator providing you have a mil to invest. If you are middle clss, hold on to your wallet, he has a fee to charge to whatever you can think of. Who do I trust more to handle the economy....the President who has given his best so far to try to bring us out of the Bush Depression or a man who wants to do more outsourcing and wants to please the rich and ruin the poor. I rather take Obama, period. See you in 2013. Mitt Romney because he will cut spending and reform the tax code to be fair to us all. He will not target the rich. And he will reduce the regulatory role of government to allow the private sector to function. Just his election will relieve a lot of uncertainty that has kept our economy from recovering. After voting for Pres. Obama in 2008, I feel his economic policies for our country has been a complete failure. I will take my chances with Mitt Romney who has had successful experiences in business over a man who didn't even run a lemonade stand. Mitt does not have a clue!!!!! Obama needs another 4 years and some cooperation from Congress!!!!! I am a registered independent and I have yet to figure out what Romney will bring to the table. It is clear that he has a plan that is so secret that the rest of us... all 150 million of us... are not entitled to know. So I have a choice between a president who is trying to keep sinking ship afloat while rest of the crew is bailing water in to make it sink faster...and a guy who is zooming by on his million dollar yacht offering rides for select few who's income measures in 5 figure salaries or more. Ohh my... good choices?! Mitt Romney has no knowledge about turning the economy or anything else around. Obama needs a chance without being blocked by Republicans. We can't provide jobs because we have not educated our children to work at the jobs we now needs. We are behind where it counts in math and science. We have become lazy with our freedom and Mitt Romney couldn't work his way out of a paper bag. It is sad that he is the only person that the GOP could find to run. GO OBAMA! Obama is doing a remarkable job with what he has to deal with everyday. He will be re-elected come November. It is the Palin tea party that now has the majority in the house that is gunk-ing up the works. Since they rode into town stagnation and hostage taking tactics have only increased the pain of the working poor in this country. Send Obama back to the White House and send him a house and senate that has compromise as its goal and not obstructing ideology! I've got to say President Obama. At least we have a general idea how he will approach the issue. Romney seems incapable of coming up with anything new and the trickle -down thing isn't working, has never worked and most likely won't work in the future. Of course, Mr. Romney could change his mind tomorrow and come up with another plan. Let's face it, we really don't know what Mr. Romney would do to improve the economy. Get a grip ladies and gents... What does it take for a president to actually prove he's the right person for the job. Does he have to actually srap on wings and leap from a 10 story building? Obama has done and is continuing to do everything in his power to turn the economy around. This does not happen overnight but as long as you are trending in the right direction, it's positive. And give me a well rounded president like Obama. Take away the discussion regarding the economy and Romney will look just as dumb as Sarah Palin. And you can take that to the banl. As you well know, presidents have very little power to affect the economy one way or the other unless their party also controls both houses of Congress. Even then, it's very tough to shift a $14 trillion behemoth very far or fast. Of course, presidents and candidates have to TALK as if they have such power, but they don't. Where they DO have significant power over events is foreign affairs–but voters generally don't give a hoot about that. Romney. He may say the economy stinks and it's Obama's fault, but Obama has been president for three and a half years and he's still saying it's George Bush's fault. Obama has had his chance and has failed. Romney will probably do better. He couldn't be any worse. Obama. Romney is a typical right wing liar, plain and simple. Like it or not the Bush administration set the economy train careening down the mountain. The republicans in congress have done nothing for the pas four years but block any solutions put forth (fillibusters etc). Obama has put forth a jobs plan with provisions for infrastructure spending that would have put thousands if not hundreds of thousands of construction workes back on the job but it was again blocked by the republicans. Since Obama was elected the main priority of the republicans has not been what is best for the country, but how to make sure Obama doesnt get a second term. The republicans absolutely do not want the economy to get better before the election and are doing every thing in their power to see that it stays in the tank. Their actions should be viewed as borderline treasonous. When will people see through what they are doing and stop buying their lies and underhanded dealings? I don't think either of these men can get this economy back to what it was 10 years ago. We have all spent more than we make on a personal, city,state, and National level. Greed at the top will have to stop and spending more than we make at every level will have to stop. Not going to be a quick fix. As an outside observer, neither one can turn the economy around. The trouble is that Americans are too introspective. For the average American there is no world outside the US. The whole world is going through a recession – Europe in particular, so why is it so hard to believe that the US is not involved with the rest of the world? C'mon people, read the papers, or watch some other news channel like the BBC. Neither! What could Obama possibly know about balancing a budget and running a country when he has never run a lemonade stand. And Romney has an agenda being a multi-millionare. The United States needs common sense business ethics in order to turn the economy around. After all, the ONLY difference between a household budget and the United States budget is the scale. Jack, I'm tired of the question. Most economists agree that the president has relatively little impact on the economy. Its American business that will either grow the economy and create jobs or not. They can choose to do it if they want to, but partisan politics has frozen the process and no one is doing much to move us forward. As long as the public is distracted to think it's the president's job the create jobs, the big corporations are getting away with not doing what they should – taking responsibility to improve the economy rather than blaming the government for the poor state of affairs. If you've been paying attention to whats going on, you'd know that Obama is the one to trust. You want more of whats got us in this mess, vote for Rommey. The president has been undermined by the Republicans during his entire presidency. I'm hoping he is reflected and that the Democrats have a majority in both Houses of Congress. It's hard for me to trust Romney. A Governor who gets health care for his state and then wants to kill it for the rest of the United States is hard for me to understand. And I can't see the logic of closing businesses, mills and factories for capitalist that helps grow the economy. So with those facts ... President Obama gets my vote. There is such a thing as a "Moral compass". And it has been well proven these past 3+ years the Republican congress/party has lost theirs. I trust Mitt Romney with the economy as much as I would trust John Dillinger with a bank vault. turn around the economy you must be kidding! when Obama took over we were in negative job growth losing 700,000 jobs a month now we have been on positive job growth for many months. Obama turned the economy around already not enough but he did. so that renders your question irrelevant unless you a republican. Everett Dirksen I believe said steal $100 go to jail – steal 1 million$ go to congress. They are all liars and thieves – but Mitt Romney is probablty the lesser of two evils. Jack, the answer is simple enough. If I earn over 250K a year I trust Romney more for fixing the economy, if I earn less I trust Obamma more. Being that Mitt Romney is the POSTER BOY for the out of touch Wall Street crowd that caused this mess....I will take my chances with four more years of President Obama. How could anyone trust a man who is has SWISS BANK ACCOUNTS but is running for President under the banner of "Believe in America?" The President of course. Anyone who has offshore accounts as Mr. Romney has, even if it has a low balance now,. who knows what he ran through it to avoid paying taxes to our government.as the rest of us have to do. Recovery may be slow but it it is improving. All it is going to take is time. However, I'm tired of this country being brought down by a "would-be-dictator" and turned into a communist country; therefore, obviously, Romney would be much better than to allow Obama 4 more years of keeping his "transparency" hidden well, and destroying our constitutional rights! IMPORTANT: There has always been only one clear choice...Ron Paul 2012! I find it almost incredible that people would have imagined that this entire mess would be cleaned up in one term. How stupid can the American public actually be ?? This didn't happen in only 4 years and it won't be cleaned up in 4. That said I am pretty jaded when it comes to believing that Mr.Romney has any will to clean up an economy that has already made him a millionaire many times over. He's looking for another "position" of status and little more. This amounts to more than Olympic Games. Maybe we should stop paying for senseless wars and rebuilding other countries and start focusing on our own country for a starter. I'm all for helping others but charity begins at home !! You are asking the wrong question. Both candidates represent plans that might work, but the real issue is what kind of society are you left with? Romney's solution just benefits the private sector and will exacerbate existing inequalities. The Obama plan seeks to find a just balance between economic growth and the values of fairness, equity and public interests that are important to us all in the long run. President Obama. He will do it with all people in mind; not just the rich whose waiting in the wings to capture on handouts should Romney win. Jack, the answer is: Neither. For far too long the American voters have been engaging in that form of insanity where one keeps doing the same thing over and over and expecting a different result. In this case, the people have been going back and forth between Democrats and Republicans, and every year things get a little more bleak for the middle class, vis a vis stagnation of wages, purchasing power, real estate values, job outsourcing etc. This year I am going to vote for every Libertarian I can find because voting for either major party is a guarantee of more of the same. Why wouldn't it be? I believe Obama will do a better Job than Romney. At least we are not loosing 700,000 jobs a month like when Obama took over. We are heading in the right direction but not as people will expect. Obama has been in the poor mans shoes before Romney has not. I believe Romney in power will enforce policies that will keep enriching the already rich.Sometimes it makes you sick how some of the rich waste money on useless things . I am not against the rich but they should pay their fare share of taxes. The economy will recover slowly over the next 4 years. Nothing Mitt Romney or President Obama does will accelerate the recovery especially considering world economic conditions. Obama is a fast learner and has become experienced and gained more realistic perspectives. He surrounds himself with smart people with compromising views who have realized that pure austerity is not the only path and are working to strengthen federation. Romney is much more popular with the 1% because his policies benefit them and that's why he has raised more money through superpacs. He surrounds himself with uncompromising people with radical ideas who will devide this nation further and push the income gaps higher. His administration will put us back on the wrong track with excessive austerity and the undoing of many of Obama's key achievements. Obama's administration is definitely better for this nation, especially economically. I will trust Romney with the econm. Romney is the grown up with real world business experience. Obama is – what President Clinton calls him – an "amateur." Ed Klein wrote an excellent book abut Obama. "Amateur." I blame Congress and the inflammatory internet for this administration not reaching solutions to move our economy forward. They have dug in during the last 2++ years to make Obama fail, totally disregarding the reality of folks like me 2.5 years un or under employed. I understand that presidential candidates will always be driven, at least in part, by their own personal ambitions. However, in the case of Mitt Romney , it seems as though its mostly just about Mitt Romney becoming President. This is about Mitt Romney accomplishing that goal . Its obvious, the man has no conviction . The man has no real vision. He cant even make a decision on his own , and when he does , all it takes is for a political adviser to tell him it was a bad idea in order for him to fold on himself. He has no spine. . and this so-called economic plan ? im insulted anyone would insinuate it is anything close to an ACTUAL answer . ." regulations . keystone pipeline" . blah blah regurgitated right-wing RHETORIC . there is no "plan" ... p.s – the keystone pipeline argument is ridiculous . a few thousand temporary jobs AT BEST .does nothing to reduce the price of oil for us ( may actually cause it to increase !) .. why dont they build the pipeline in their own country ? Well because that countrys people will not allow it .. they know better . and why try to convince them otherwise , when your neighbors to the South have lobbyists for sale .. you dont need public support . you dont need permission . you just need to line the pockets of the right people. First you must create wealth before it can be redistributed. The private sector must be healthy and growing or no social welfare programs are sustainable. Our Community Organizer in Chief does not appear to understand this. The troubling part of this question is that it assumes that there is one economy. If by the economy, you mean corporate profits, GDP and the usual measures, then Romney probably is the right guy. However, if you are worried about the part of the economy that deals with the vast majority of people who are simply trying to get a job and feed your family, Romney and his guys aren't going to look after your needs. Unfortunately, thanks to the structural debt inherited by Obama, a lot of people are simply going to vote for the alternative. Too bad. Qbama definitely. Romny has offered no solutions except to repeal Obamacare is a minute part of the budget. He's against raising taxes on the rich, which is interesting coming from someone who claims to be worried about the debt. Under Obama, We've had more than 20 months of private sector growth, the auto industry is back in it's feet, and we have a healthcare system that doesnt drop people because of pre-existing conditions, instead of making taxpayers pay for the uninsured. We let the republican's run our economy for 8 years and they almost destroyed us,so much we still have not recovered! Why the hell would I ever vote for them ? Obama has us heading in the right direction! It took Bush 8 years to destroy it! Its getting better under our President so give him 4 more years. Without a doubt...Mitt ROMNEY is a real "Gentleman" and has the best of character, I have COMPLETE and total TRUST in him.. I feel I'll be able to sleep at night with him in the Oval Office. NOT SO with O'Bomba. He makes promise after promise, but never keeps a one. Then it's lies, lies, and more LIES! Is that the "CHANGE" we want? We don't even let our children act that way! No Way. Vote him OUT in NOvember! Neither. Like gas prices, the Pres has actually little he can do to fix the economy. But the President and Congress can set policy that will help (but not fix) the recovery But don't expect them to do anything until the tea party gets thrown out in the next election, and its ok for Republican to compromise again. The economy is driven by the middle class, period. Until Wall Street, the 1%'ers, or "job creators" will admit this, we will continue this dance, everyone sitting and waiting for someone else to make the first move, with Congress doing absolutely nothing. Its a stalemate. If Obama is re-elected eventually Congress will cave, Wall street will move on, and eventually the middle class with gain enough confidence to start spending again. If Romney is elected, the middle class will just eventually become the lower class and the segregation of wealth will continue. Do the same to Romney that everyone did to Obama Check him out Thoroughly! Since he didn't release hardly any Tax Returns it seems like he's hiding something. CHECK HIM OUT FOX and be embarrassed. That's easy Jack; the man that the president endorsed earlier, Mitt Romney. President obama thought that this man was so intelligent that he chose his, HIS, healthcare plan, for the entire country. i do believe that the message that the american people will have for the president is; fool me once, shame on you. fool me twice; shame on me!!! I think Obama will do a better job in second term even though the economy is down he is in the White House now if the House and GOP work with him instead of against the President the country would be better WORK TOGETHER!!!!! I'm not even going to mention the other GUY he is a puppet already! TEAM OBAMA 2012!!!!!!! The president has helped bring the economy back from the brink of disaster. Let's let him finish the job and tell Congress to get out of his way!! I am 'Betting on America' and Trusting Obama to turn around America's economy:-). I take Obama over Romney any day.... Unless Romeny can pull strings and outsource our problems too. Obamacare has to go. Obama has to go. A government that controls its people's healthcare, controls the people. I am for less government. Our debt has tripled under Obama, welfare has tripled under Obama, unemployment has tripled under Obama. He does not know what he is doing. All his policies have failed. Our tax monies are wasted. I cannot think of one thing that he has accomplished for the good of the people. Republicans have made it clear they want to bust the Labor Unions and fire as many of us as they possibly can. Consequently I wouldn't vote for a republican to be assistant bathroom attendent, much less President of the United States. I trust President Obama!!!! We are out of Iraq, Bin Laden is dead, the auto industry has been saved,healthcare is constitutional and affordable,We are leaving Afghanistan. The republicans have taken us to war while not funding it and allowed financial management in this country to go unchecked with Paulson as Secretary of treasury. I trust Obama!!! It seems so clear to me. OBAMA. Look what he has done so far to pull us out of the hole the Republicans put us in. AND he did it with them fighting him all the way. Come on how can giving the rich more power and not making them pay thier fair share help the middle class or poor get back on track. We are the serfs. They will keep using us to make more money for themselves. Why favor the Middle Class? Presiden't Obama's speech today was all politics. We need lower taxation for all – not just the middle class. Romney may be one really rich guy with a bunch of rich friends and you know what I think? Good for him! Let's reward him. Let's reward those who are doing well. Encourage the bottom and middle calss to do the same. First you must create wealth before it can be redistributed. The private sector must be healthy and growing or no social policies are sustainable. I believe President Obama would do a better job. I worry that the Republicans will control both Houses and the Presidency and the United States will never be the same. Just listen to what they would cut and how they would balance the budget, off the back of the middle class and poor. The middle class would disappear. We have always been rewarded for working hard and encouraged to get an education. Many people have gotten rich by fraudulent behavior and the middle class has suffered. A depression or severe recession takes a long time to turn around no matter what you do, especially when the other party is being obstructionist with the primary goal of winning the next election. The problem with the "stimulus" is that it wasn't big enough. Read Paul Kruger's "End This Depressiion Now." Remember that the great depression of the 1930s lasted 12 years despite Roosevelt's stimulus attempts and didn't end until the government had reason to undertake deficit spending on a massive scale–W W II, whicxh was followed by a period of unprecedented prosperity. The deficit is a big problem, but we can't reduce it until the economy is stronger. Let's not change horses now. Remember tne Reepublicans got us into this mess! Romney’s plan is available for everyone to review but I’m sure that Obama’s liberal sheep would not understand it. I trust Presidente Obama. Of course rich people as CNN (Wolf Blitzer, Jack Cafferty, Dana Bash, John King, Candy Crowley, etc...) prefer Romney "plan". It's become obvious Mitt Romney has been controlled by the Republican (rove/koch) Establishment since the first Republican Presidential Debates. During the Republican Presidential Debates Mitt tried hard to cater to the Far-Right Extremist ideas. Since then he's tried to position himself more in the middle, while avoiding the hard questions Obama has to deal with on a daily basis. It's apparent Mitt RomneyCare will continue most of the failed Bush/Cheney/Rumsfeld policies and will be indebted and controlled by the Republican (rove/koch) Establishment. Congress as more influence over the economy than any President and since the "Do Nothing Republican Congress" decided they would try to make Obama a "One Term President" and put Party over Country. While watching the U.S. economy stall. There's NO WAY I would trust Mitt Romney or the Republican with the US economy..
Romney. Romney became billionaire by knowing which businesses to invest in and which businesses not to invest. He has proven his ability to make sound profitable, business decisions. He did not become rich at the public trough as has Obama and Clinton. Obama does not have a clue how to do anything without using the power of the government. I trust President Obama. What is not being said is why US spending is large. It has been to try to stablize the US econcomy. Have you wondered why Mr. Romney, being the businessman, he claims to be, was not saying during the time (his party's adminstration); Mr. Bush, a grave mistake is being made. I think Mr. Romney was an insider, wouldn't he have seen this, being the great businessman he claims he is. You do not come out of a financial crisis like this in four years. The truth is it will take a decade to do it correctly. Remember, financial crisis, wars and the many natural disasters along with everyday things this President has had to deal with. He is young, not an insider and those from the beginning with one aim "Get President Obama, make him look bad, get him out. People please think. I am stopping here. People seem to forget that it took 8 years for this mess to manifest. Why then do they want it all solved in 4? I beleive we should be fair and give Obama equal time to attempt to pull us out of this economic disaster. When he took office; we were on the very brink of another Depression. Wal-Mart's parking lot is still full so, I guess we are reasonably okay, I say give him 4 more years. Maybe if he is voted back in office, the Republicans will give up their quest to facilitate his failure and allow his vision to improve our country, to materialize. Jack we tried Obamanomics now for almost 4 years and it hasnt worked. I think its time for some real change. Obama has bungled the economy and every month when job numbers come out it just never seems to come out how the Democrats want it to and we see this endless spinning on the Sunday talk shows of how it couldve been worse. Seriously? I mean really thats the best they can do? There are people really hurting and losing everything they have and everything they have built. The Democrats answer to everything is always spend more and tax more and we all know how that has worked out in the past, it just doesnt work period. We are in a serious situation here and the only answer this president has is "give us more of your money and let us spend it how we see fit" and thats it, thats all he has. Lets give Romney a chance now and see what he can do, and if he cant do it, then in 4 years he will be gone too. We gave Obama 4 years and it hasnt worked so TIMES UP! Time for that change now. Romney....the clear choice when it comes to the economy. Obama continues to blame everything on the past, True, he took over a damaged ship, but he has done nothing to stop if from sinking. I trust President Obama to do the job. If only the Republicans would just let the man do the job he was elected to do, and stop blocking and bashing him, Americans would not be in so much pain. I do not trust Romney, because he has so many negatives against him, including the many times he has "flipfloped" on everything, and he want show all his business nor tax information. What is up with all the secrets Mr. Romney? I think that if someone wants to be president of America, he or she has to be opened about everything. The only economy that Romney will increase is the ones in India, China, Mexico, and other third world countries like he has already done with Bain. President Obama has not been able to get the economy going because of the Republican stance of making sure that he dioes not get reelected. That is Romneys plan also. i have not heard what he will do different. I predict that if Romney wins and the Republican party staysin control of congress, they will introduce all the policies that President Obama has suggested and call them their own. However we will see our taxes, the middle class, go higher because they do not want to upset the millionairs by increasing their taxes. if Romney has a plan why does,t he announce it? There might have never been a presidential candidate that has more blatantly and frequently altered his convictions based upon what he thought the voting public wanted to hear than Mitt Romney. Barack Obama a president for us, the people. Mitt Romney is a candidate for the very corporations that dragged us into this this financial debacle with their scruple-less greed. I certainly have absolutely no problem to see whom I trust. Romney is an expert of at rip out corporations he then borrow against outsource the job to China make million. when it come to USA he has no clue he looking to GOP on to what to, those boys all they know is to say no and cut benefits! Mr. Romney is a member of the PROBLEM class–bankers, CEOs, businessmen. He touts his business experience. But our former presidents who were business men were failures–Ulysses Grant, Warren Harding, Calvin Coolidge, Herbert Hoover, George W. Bush. Herbert Hoover was a very successful businessman, and a great humanitarian, but his presidency was after the great crash and because he was so dedicated to his philosophy, he failed the country. Making money is business' goal. But our government isn't about making money. It's about providing goods and services that the population needs. Mr. Romney's philosophy is anti goods and services, in the name of "small government"–cut teachers and janitors, no money for roads, cut public services like firemen, policemen, nurses, cut aid to the indigent, do away with Social Security and Medicare. Of course this is another etch-a-sketch moment, as it's the opposite of how he governed in Massachusetts. Just in case someone hasnt had this pointed out....the USA is the only industrialized country in the world that allows "for profit" health care. Most of those that are against the affordable heath care act are just plain ignorant. It will help lower costs, and provide access to quality care to millions that can not access it at this time. The republicans want to get rid of it before it takes effect in 2014, and before the gen population realizes what a good deal it is. My only complaint is it doesnt go far enough. I would like to see them open up Medicare to all, require membership, and send the insureance companies packing in the health care area. Why do we need someone skimming profits in the middle instead of paying directly...theres a lot of your cost....the insurance companies bureaucracy taking a cut before the dr gets paid to put it in simple terms. Romney hasnt got a clue...just rhetoric. He is in the pocket of the cooperations. Hes a cooperate raider...a business version of a junk man. He takes buys a broken down business, sells off the parts, and crushes whatever is left (including the employees). Its too bad that a lot of the electorate is no smarter than a 5th grader and buys the lies of the right wing. Romney can make the economy work, if working involves funneling more and more wealth to the men who are already the wealthiest in the history of wealth itself. By any standard that doesn't involve widening the rich-poor gap and calling it a day, Obama wins by a landslide.